With a passion for innovative knit design, London-based cousins Anna Singh and Rachael Wood founded Chinti and Parker in 2009 to bring a new level of tactility to contemporary womenswear. Driven by the concept of 'material creativity', Chinti & Parker uses the finest yarns to create collections underpinned by sophisticated textures and distinctive character. With strong backgrounds in fashion and beauty, yet armed with an inherent understanding of what women feel good in, Anna and Rachael sought to combine a playful approach with timeless techniques, and to inject colour, texture and spirit into the current market. They saw an opportunity to use cashmere in distinctive new ways, creating ready-to-wear collections elevated by time-honoured textile processes. 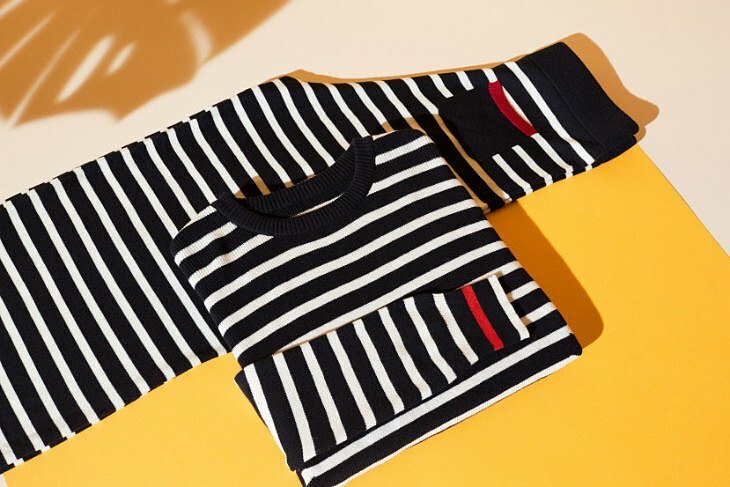 By using the finest cottons, softest cashmere and lightest merinos, and working with the most respected mills, the brand experiments with knit, stays loyal to luxury craftsmanship and is effortless in style.